HONOLULU (HawaiiNewsNow) - Palani Vaughan, a Hawaiian music legend and authority on King Kalakaua, has died. He was 72. Vaughan was a graduate of Kamehameha Schools and got his bachelor's degree in Fine Arts from the University of Hawaii. Among his most popular recordings: "Ipo Lei Manu," "Ka Mamakakaua," and "He Pua Wehiwa." "We did a function for the Friends of Iolani Palace," she said. "And my son was at his daughter's ho'ike at McKinley High School, and he sang. And he looked fine." Vaughan was a performer and composer, and was perhaps best known for his King Kalakaua tributes. Vaughan was also widely known as a historian, and had spent years studying the monarch's life. And five years later, in an interview with the Maui News, he explained why he'd dropped out of the spotlight in his later years. "Since 1999 until May of 2012, I've been taking care of my parents' needs. That's why I dropped out of music. I've been getting re-involved and part of that process involves writing new music. I didn't drop out entirely, as I've been involved with the Hawaiian sovereignty movement." 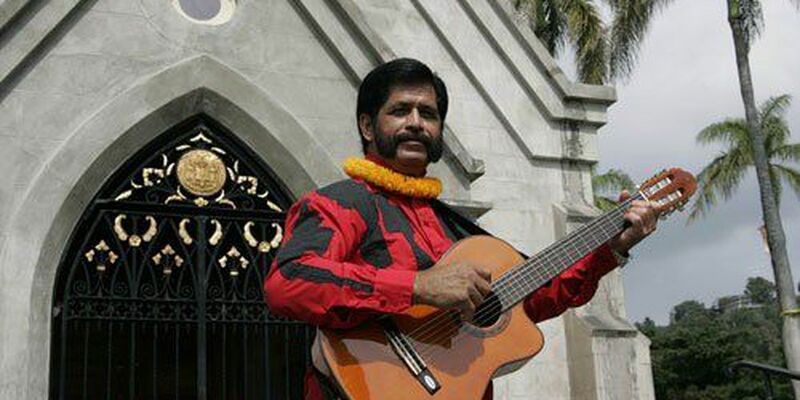 In 2013, he was the first among several Hawaiian musicians from around the state who appeared in the Project Kuleana video of "Kaulana Na Pua," a mele of opposition to the U.S. annexation of Hawaii. "He's contributed so much to the Hawaiian music scene, with his compositions and his songs," said Takamine. "He's really going to be missed."